The title of Ram Charan and Sukumar’s upcoming film was recently made official as ‘Rangasthalam’. The reaction for this title has been pretty mixed. While some said that it sounded like the title of a dubbed film, others called it as a fresh title. Somehow, everyone has now come to terms with this surprising title. Was it easy for Sukumar to select this old-fashioned title for a Ram Charan-starrer and convince everyone, especially Megastar Chiranjeevi? No, its not. It is heard that the intelligent director had to toil hard to get the nod of Megastar for ‘Rangasthalam’ title. At first, Chiru wasn’t pleased with the title and he called it old-fashioned. He was more inclined towards ‘Palletoori Monagadu’, which has a mass appeal to it. At one stage, Chiru even suggested Sukumar to choose a title from one of his earlier hit films if his intention was to convey 80s backdrop with the title itself. 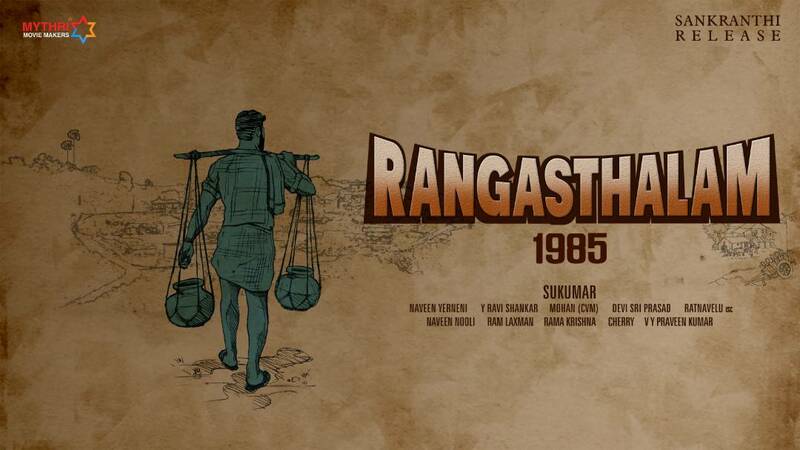 Sukumar however was adamant and he tried his best to explain Megastar why ‘Rangasthalam’ title was apt for the subject he had wished to narrate. Charan also supported Sukumar in this aspect. He was of the opinion that a fresh and completely unexpected title will shock fans initially but raise curiosity on the project eventually. As Charan and Sukumar were on the same page, Chiru gave his nod and the title was announced officially.